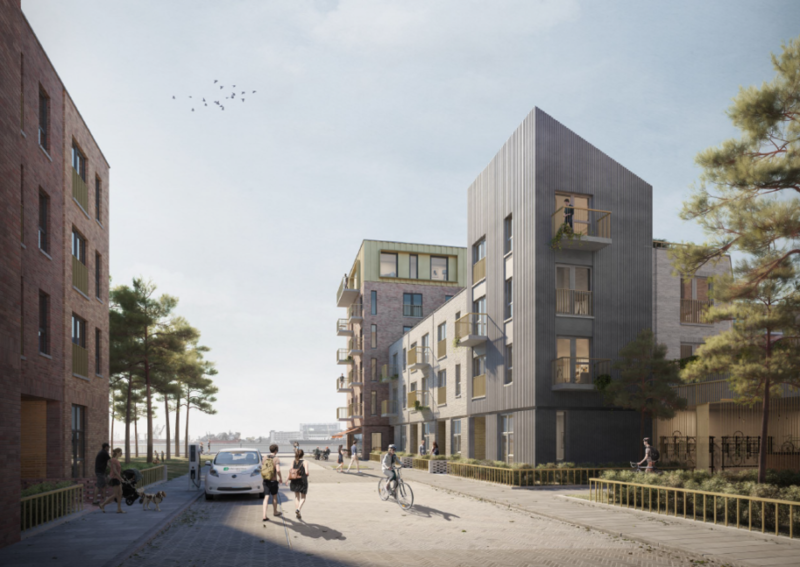 The Revised Design Framework (RDF)* for a major development at Western Harbour in Leith has today (10 October) been unanimously approved by the Development Management Sub Committee of the City of Edinburgh Council who were positive about the submission. The vision of Western Harbour is to create a vibrant waterfront community which acts as the catalyst for a wider regeneration of the waterfront. The development proposals will deliver a residential led, mixed-use community with a new park, a proposed new primary school, shops and a waterfront promenade. Commenting on the decision today Charles Hammond, Group Chief Executive said: “We are pleased with the decision today (10 October) by City of Edinburgh Council to approve our Revised Design Framework for Western Harbour in Leith. Forth Ports and Rettie & Co. have been working together for over two years on these proposals that will result in the delivery of a community of 1600 mid-market rental home and park which should also create the setting for the new primary school for the area.